Due to the ongoing ageing of the population with increased related co-morbidities, transcatheter interventions are spreading around the first world countries like an unstoppable firewall. Some (the tip of the iceberg) have already established in “normal clinical life” and became very safe procedures for the “modern high-risk patient” with acceptable outcomes over the last decade but many more are just evolving currently being under investigation with first in-man clinical trials. 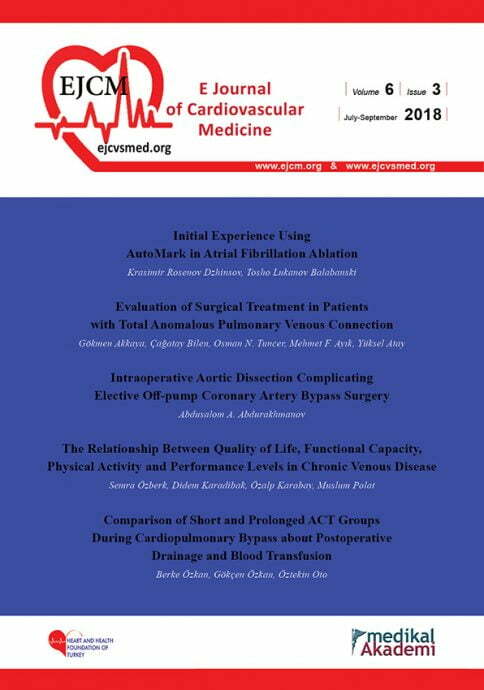 In the initial phase of the clinical adoption of transcatheter valve therapies (2007/2008), different specialists with different professional backgrounds, skillsets and personalities were “forced” to work together out of necessity. As a result, interventional cardiologists and cardiac surgeons started to work as a “Heart Valve Team” in order to overcome the respective lack of knowledge (ie. wire skills for surgeons and valvular anatomy and well-established surgical valve therapies for interventionalists) and to merge in a complementary way to offer the best possible treatment. The establishment of a “Heart Team” was a need, which was desired and perceived by the physicians themselves. But with the progressive fast establishment of a complementary “hybrid” culture, the need for such a “Heart Team” became soon lees stringent, and many individual conflicts emerged, mainly due to not shared targets and willingness to be the predominant leader of the team. Therefore, the ESC/EACTS have recommended in the 2012 guidelines as a mandatory prerequisite for a Valve Centre performing transcatheter therapies to establish a “Heart Team” consisting of multiple specialists in order to be capable to discuss the cases interdisciplinary and to decide the optimal individual treatment option. The presence of the “Heart Team” became a “condition sine qua non” (in the interest of the patients) for every centre to be allowed to be part of the game (modern transcatheter therapies). In the last 2017 Guidelines the presence of a multidisciplinary “Valve Team” has reached a Class IC level of evidence recommendation, and today in many countries formal “Heart Team” discussions are even mandatory for reimbursement. How to build a functional and functioning “Heart Team”? While trying to establish this suggested “Heart Team”, the following questions arise: who is the leader in an interdisciplinary team and how are decisions made in the presence of hierarchy, unbalanced information sharing and hidden agendas? Or is the “Heart Team” doomed to fail before it could be established in clinical practice? At present, there is no defined “standard” for the performance of a “Heart Team Meeting” which can result in biased decision making in a “Team of Experts” who do not share common goals. Therefore, before answering the questions above, we first have to become aware of the definition of “Team”: in a team, all members have shared goals, there is interdependency and reflexivity. If these criteria are not met, quality of decision-making suffers. (2-5) Are there shared goals in a “Heart Team” besides the well-being of the patient? Is there interdependency and reflexivity within a “Team of Experts” who ultimately aim to support their own specialty? Without standards, the final decision of a “Heart Team” may depend on status, individual points of view and decision-making habits rather than on integration of interdisciplinary expertise, which might result in less optimal treatment decisions. In order to create a functioning unbiased “Heart Team”, the following should be considered: First of all, a shared “basis” or “goal” has to be created for the different specialties involved within an institution. A team of experts of different specialties has to be rewarded as “one team”: the establishment of an official “Heart Centre” is advisable. Secondly, the performance of a “Heart Team Meeting” has to be standardised with defined timeframe, leadership, role of team members, discussion culture and decision making process. Thirdly, while conducting the “Heart Team Meeting”, the members have to be aware of various team interaction phenomena, types of leadership with their respective consequences and discussion culture, which have a tremendous influence on the outcomes of decision-making. In a “real” team all members have shared goals, there is interdependency and reflexivity which is not easily achievable when multiple specialties are involved. For that reason a “Heart Team” can only perform its purpose properly if it is deliberately forced to become a “real” Team whose decisions are not biased by hierarchy, unbalanced information sharing and hidden agendas. On the basis of the establishment of a “Heart Centre”, we suggest the implementation of a standardized “Heart Team Meeting” protocol with defined timeframe, leadership, role of team members, discussion culture and process of decision making. If these evidence-based recommendations can be adopted, optimal decision-making and patient care can be achieved for the modern ageing high-risk population. In order to achieve the education needed for the establishment and running of a functioning “Heart Team”, the University of Zurich has initiated the worldwide very first “Certificate of Advanced Study (CAS) in Structural Heart Intervention” courses. The education not only includes clinical and innovational elements, but most importantly communication, financial and leadership skills, along with elements of conflict solving in different scenarios. We believe that in the future, all members (especially leaders) of a “Heart Team” must undergo such an officially certified education in order to guarantee optimal patient care. Falk V, Baumgartner H, Bax JJ, De Bonis M, Hamm C, Holm PJ, et al. 2017 ESC/EACTS Guidelines for the management of valvular heart disease. European Journal of Cardio-Thoracic Surgery. 2017;52(4):616-64. Burke CS, Salas E, Wilson-Donnelly K, Priest H. How to turn a team of experts into an expert medical team: Guidance from the aviation and military communities. Qual Saf Health Care. 2004;13(Suppl 1):i96-i104. van Knippenberg D, van Ginkel WP, Homan AC. Diversity mindsets and the performance of diverse teams. Organ Behav Hum Decis Process. 2013;121:183-93. Mojzisch A, Schulz-Hardt S. Knowing others’ preferences degrades the quality of group decisions. J Pers Soc Psychol. 2010;98(5):794-808. Schippers MC, Edmondson AC, West MA. Team reflexivity as an antidote to team information-processing failures. Small Group Research. 2014;45(6):731-69. Mesmer-Magnus JR, DeChurch LA. Information sharing and team performance: A meta-analysis. J Appl Psychol. 2009;94:535-46. Morrison EW. Employee voice and silence. Annu Rev Organ Psychol Organ Behav. 2014;1:173–97. Raemer DB, Kolbe M, Minehart RD, Rudolph JW, Pian-Smith M. Improving faculty’s ability to speak-up to others in the operating room: a simulation-based randomized controlled trial of an educational intervention and an qualitative analysis of hurdles and enablers. Acad Med. 2016;91(4):530-9. Nembhard IM, Edmondson AC. Making it safe: The effects of leader inclusiveness and professional status on psychological safety and improvement efforts in health care teams. J Organ Behav. 2006;27:941-66. Janis IL. Groupthink: Psychological studies of policy decisions and fiascoes. Boston: Houghton-Mifflin; 1982. Schulz-Hardt S, Brodbeck FC, Mojzisch A, Kerschreiter R, Frey D. Group decision making in hidden profile situations: Dissent as a facilitator for decision quality. J Pers Soc Psychol. 2006;91:1080-93. Packer DJ. On being normative both with us and againts us: A normative conflict model of dissent in social groups. Pers Soc Psychol Rev. 2008;12(1):50-72. Hofmann DA. Overcoming the obstacles to cross-functional decision making: Laying the groundwork for collaborative problem solving. Organ Dyn. 2015;44(1):17-25. Schein EH. Humbly inquiry. The gentle art of asking instead of telling. San Francisco, CA: Berrett-Koehler; 2013. Fitzgerald DR, Mohammed S, Kremer GO. Differences in the way we decide: The effect of decision style diversity on process conflict in design teams. Pers Individ Dif. 2017;104:339-44. Larson JRJ, Foster-Fishman PG, Franz TM. Leadership style and the discussion of shared and unshared information in decision-making groups. Pers Soc Psychol Bull. 1998;24:482-95. Okuyama A, Wagner C, Bijnen B. Speaking up for patient safety by hospital-based health care professionals: A literature review. BMC Health Serv Res. 2014;14:61-9. Schmutz JB, Eppich WJ. Promoting learning and patient care through shared reflection: A conceptual framework for team reflexivity in health care. Acad Med. 2017;92(11):1555-63.